Complement your gown with this sparkling one tier mid-length veil! 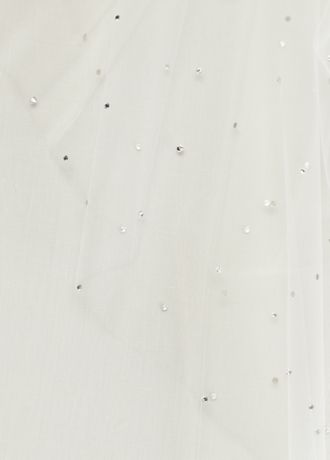 Mid-length one tier veil is adorned with all over scattered crystals. Dimensions: Length - 39 inches.